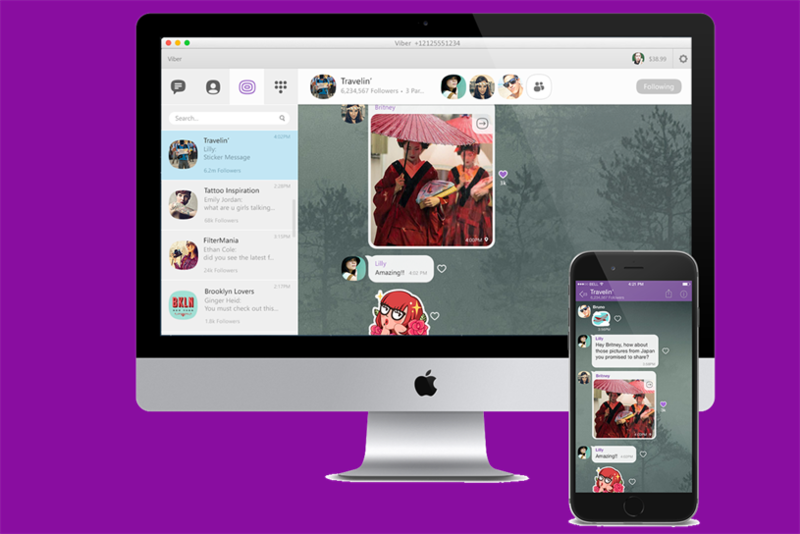 Viber, a messenger app owned by Rakuten, has integrated with social media management platform Sprinklr. This is the first time Viber has integrated its app with an enterprise-level social management platform. This move will let brands analyse interactions with customers on Viber, gleaning actional data to inform customer service and business decisions. The app currently has 900 million users worldwide. After Facebook Messenger and WhatsApp, Viber is the top-ranked messaging app in more than 10 countries and it has a large market share in Eastern Europe, Russia, the Middle East, North Africa and Southeast Asia. As the integration is only for public chats, or for chats between customers and brands, however, this is not the path into tracking dark social that brands have been looking for. Instead, Sprinklr will work across Viber's public accounts for businesses which are currently used by 20,000 brands. Some brands on Viber include department store Macy's and FC Barcelona. "Viber is increasingly becoming a natural place for people around the world to communicate with brands, whether they’re asking a customer care question, commenting on a product or shopping straight from the app," Elizabeth Closmore, global head of product evangelism, Sprinklr, said. The integration will enable brands to read and send messages on Viber alongside other channel communications within the Sprinklr platform. It will also allow brands to automate customer care and manage content efficiently. "Brands are constantly seeking innovative and results-driven ways to capture the eyes and ears of consumers, and messaging apps achieve so many of these objectives," Cristina Constandache, vice-president of global partnerships at Viber. "Viber’s integration with Sprinklr creates a joint solution that will be crucial to consumer engagement." © Haymarket Media Group Ltd.